Today we’re going to be talking about George Washington, the first president of the United States. You’ve probably learned about him in school, but can you figure out which one of these things is true? a) George Washington chopped down a cherry tree when he was a kid. b) George Washington only got an elementary school education. c) George Washington wore wooden teeth. Which one did you guess? If you said b, you’re right! Even though a lot of people think that a, c, and d are true, they’re really just rumors that people made up about George. But doesn’t it seem weird that the first president of the United States only got an elementary school education? Well, not when you think about it! People in George Washington’s time didn’t have the same access to school that we do today – many of them never even went! That might sound like fun to you, but can you imagine spending your whole life working on your family’s farm or at your family’s business? Can you imagine never making friends at school and only getting to play with your siblings? That’s how life was for a lot of people in George’s time! Even though George only got an elementary school education, he was very smart and a hard worker. There were lots of things that he was good at, but he had one skill that really set him apart from everyone else: George was an incredible leader! When George was just 20 years old, he became a leader in his state’s militia. He was so good at guiding his men and bringing out the best in them that he kept getting promoted, gaining bigger and bigger leadership responsibilities. When it came time for the United States to elect their first president, there was no question about who it would be – everyone wanted George! To this day, George Washington is the only U.S. president to receive a unanimous election – that means that every state voted for him! George didn’t always know that he was a good leader though. In fact, he was the youngest child in his family, and he spent his early years being told what to do by his parents, teachers, and older siblings. But these experiences taught him to work hard, develop discipline, and respect others – skills that ended up making him a great leader! 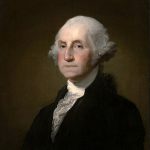 Even though George was successful without having much of an education, things are very different today than there were in his time. Today, everyone has the privilege of going to school! Sometimes it’s difficult, and sometimes it can be boring, but it’s all teaching you valuable lessons that will help you for the rest of your life. Plus, by working hard in school now, you’ll have more choices later on to study the things that really excite you! Maybe you’re like young George Washington and you don’t know what you’re really good at yet. That’s okay! The best way to figure out what you’re best at is to be curious and work hard. This means working hard at everything you do – not just the things that seem fun. You won’t know if you like something until you try it, and you won’t know if you’re good at it until you practice it! There’s a bit of magic in all of us! George’s magic was leadership. What’s yours? Kindness to Others Helps You Too!